Since reading Christina Tosi's Momofuku Milk Bar cookbook, I have been fascinated by cereal. I never ate cereal as a child, save for the few times that we had Golden Grahams or Oreo O's in the house. I have a deep aversion to milk, so I just never loved cereal like most kids. However, since I read Tosi's book, I have found myself obsessing of sugary cereal and other quintessential junk foods. 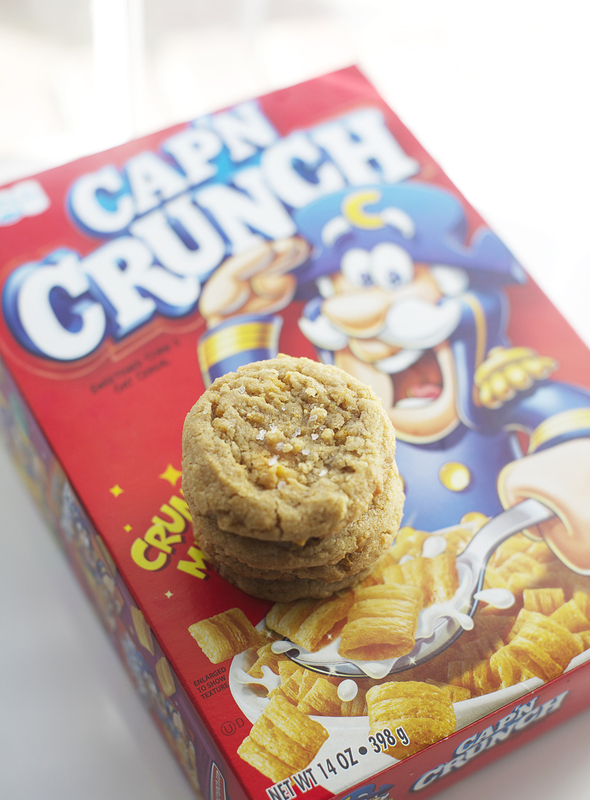 Then the idea was born — mix peanut butter cookies with the most sugary cereal ever, Cap'n Crunch, to create the ultimate throwback to childhood. Whenever I told anybody that I wanted to use Cap'n Crunch in my baking, they shuddered away pretty quickly. Yeah, sure, it sounds gross — but the result? ***Flawless. 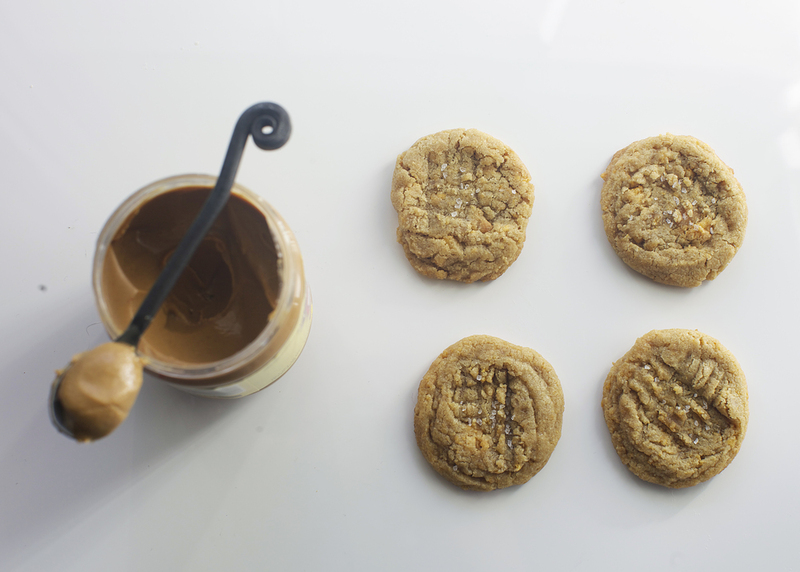 The base of these cookies is your traditional peanut butter cookie. The level of peanut butter is perfectly balanced. Not too faint, but not too much either. When adding the dry ingredients to the wet, I added 1-1/2 cups of crushed Cap'n Crunch. The combination of peanut butter and Cap'n Crunch is a match made in heaven. They just work. 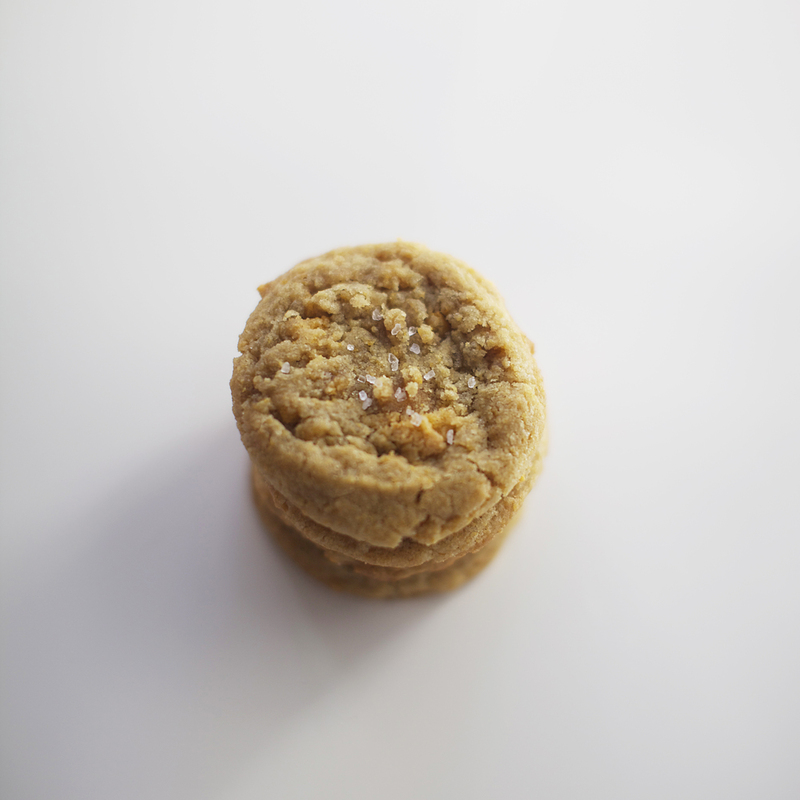 The cookies are each topped with sprinkle of coarse sea salt to elevate the overall flavor. Scoop tablespoon-sized balls of cookie dough onto the prepared baking sheet. Bake cookies for 10 minutes. Add a sprinkle of sea salt on top of each cookie. Don't leave that out! Cool and enjoy.